These Heat Pump Cylinders have been designed to work specifically with our MasterTherm air source, ground source heat pumps. The cylinder is manufactured with coil-in-coil technology. 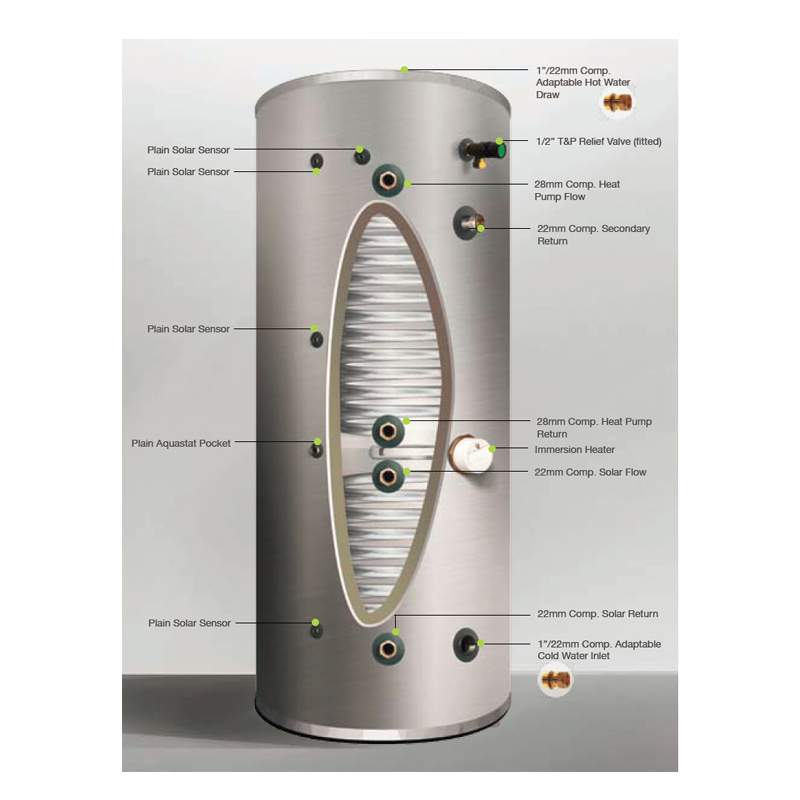 Coil-in-coil technology allows for greater surface area coils to be installed in standard sized cylinder units. The inner coil dissipates more heat at lower temperatures, improving the efficiency of the overall system. Incoloy immersions come as standard in all Cyclone Cylinders unless otherwise stated. Incoloy immersions are designed for low-to-medium use in a domestic application. If the stored water is hard or the usage is high, we recommend Titanium Immersions. Please contact us for more details on heat pump cylinders.